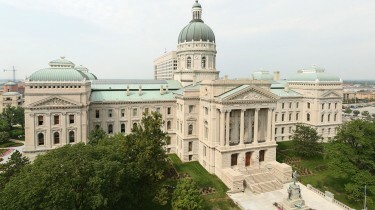 Defining marriage as a union between one man and one woman violates the Fourteenth Amendment’s Due Process Clause and Equal Protection Clause according to today’s ruling from Judge Richard L Young of the U.S. District Court Southern District of Indiana…. Pastor Dominick Grimaldi and Pastor Jason Smathers discuss original sin on Koinonia radio June 11, 2015. The sin of Adam has a profound affect on every person today, be sure you understand this foundational Christian doctrine. 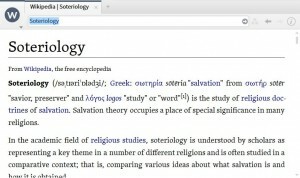 Logos 6 was launched today. If you are looking for Bible software, Logos must be considered. 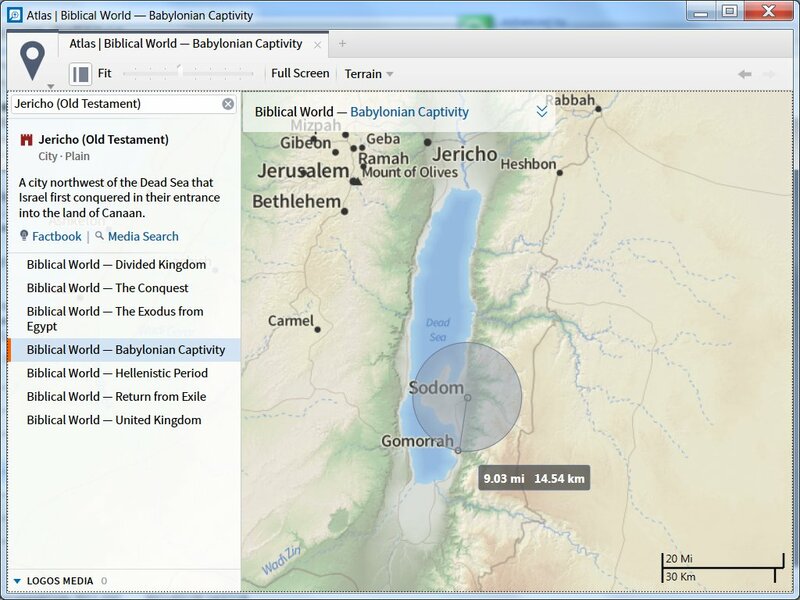 Logos has the largest collection of books available of any Bible software (as far as I can tell). 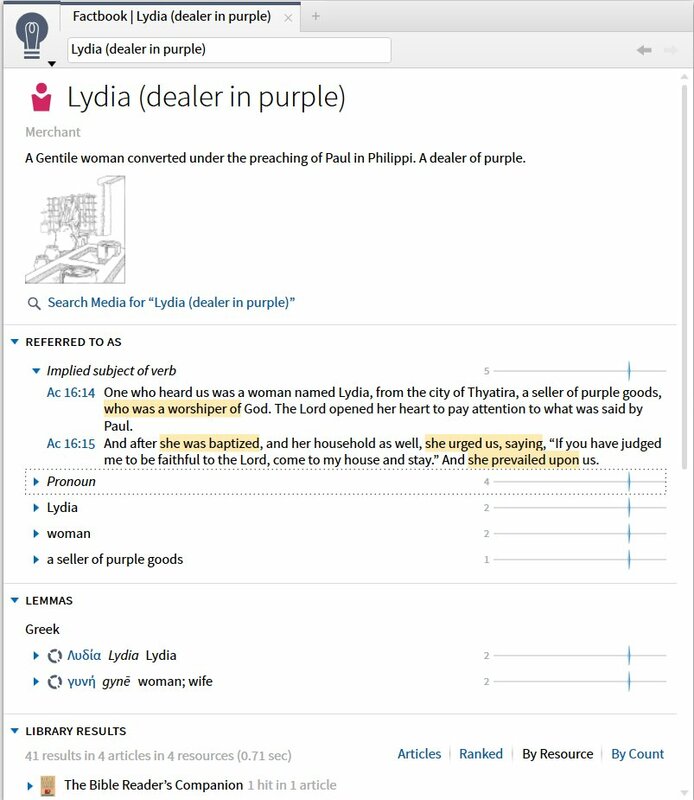 It includes tools for study in the original languages for pastors, seminary students, and others. Logos makes the original languages accessible even to people without a background since you can hover over a word and see all the information without even clicking. As an example, I’ve pointed to the word chosen in 2 Chronicles 7:12 and the data shown below is automatically displayed. Logos can be used by PhD students working on a dissertation and by Sunday School teachers alike. They have library options for all types of users. Since Logos is so feature rich, a book could be written on the various features. In this short introduction, I will be providing some information focusing on the new features. The factbook allows you to collect information on people, places and things from all the sources in your Logos library. This feature was around in Logos 5, but it has received a facelift and a new name. The extensive work Logos has done to make your library accessible shines here. 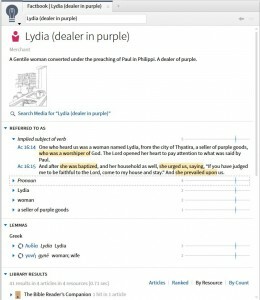 For example, opening the entry on Lydia allows you to see not only where she is refereed to by name, but also as a pronoun or the implied subject of a verb. Opening the entry for cistern, pictures are provided giving a sense for what a cistern looked like and encyclopedia entries are provided for more detail. When reading the Bible, Logos has added a new icon which will show an inline interlinear which adds the interlinear data below the English words, creating a reverse interlinear Bible on the fly. Logos 5 allowed added an interlinear stripe across the bottom of the Bible window, this easier formatting is new for version 6. 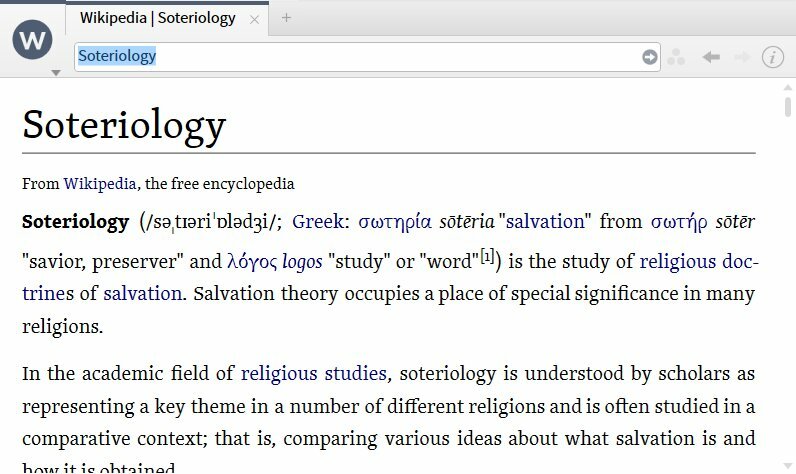 Logos 6 recognizes the growing trust in Wikipedia and provides an interface to Wikipedia which allows browsing as if it were another book in your library. Surly this feature is a nightmare come true for some seminary professors. However, if used correctly (with suspicion of the facts), Wikipedia can provide quick details and point you to source material. 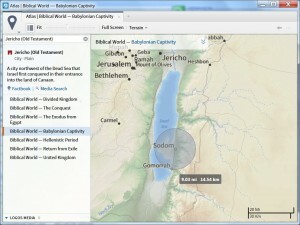 Logos 6 includes an atlas feature. With a control (or apple logo) + click and a drag of the mouse, you can even measure distances on the map. 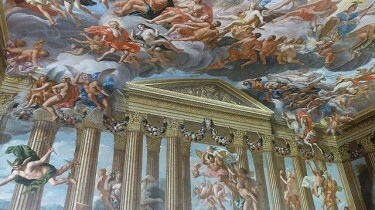 If you are wondering, Sodom is nine miles from Gomorrah. 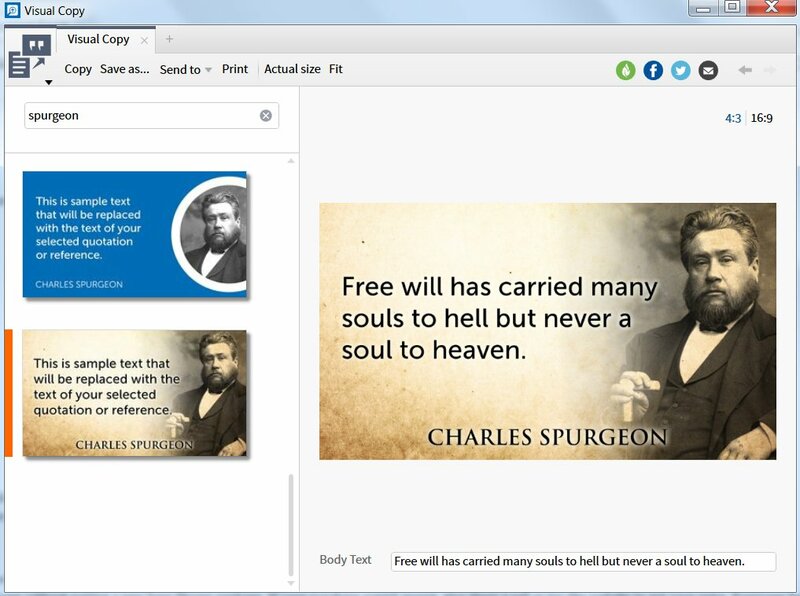 If you use PowerPoint or Proclaim to create presentations for preaching or teaching, or if you just like making fun images to share online, the new Visual Copy feature is neat. 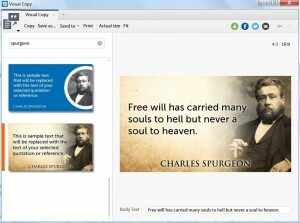 Visual Copy allows you to select a background, enter a quote and an author, then download or share the image. 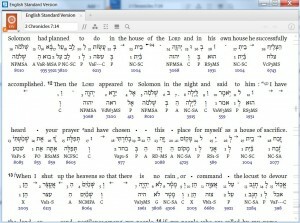 You can also enter a scripture reference and select from several images already made for that text. Logos 5 users are wondering when they can upgrade and how much it will cost them. If you purchased Logos 5 recently, they will be offering a free crossgrade to you. The crossgrade upgrades the software without getting a new base library package. If your purchase wasn’t recent, give them a call or try the website to get your price. Everyone has a different price for upgrading because it is based on what books you already own. Or, you can use this time to switch to a new base library. The new reformed base packages should be very attractive for reformed users of Logos. The last option is to wait. Since Logos sells books, not software, they usually give the upgrade away for free, but you might need to wait for that option. But, if you wait for the free upgrade, the new features that require books (such as the atlas) will not work, since you do not own the books that power the features. Use a promo code to get the datasets and media of the Logos 6 package that corresponds to your Logos 5 package for free. Return your Logos 5 package and purchase a Logos 6 package. 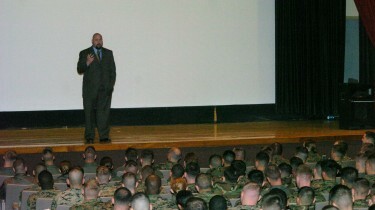 Logos has introduced a series of base packages for various types of users including packages such as Baptist, Chaplains, and Reformed. With the release of Logos 6, the reformed base packages have been revamped and a new portfolio version is also available if you want it all. You will find everything from commentaries by Poole, Henry, and Calvin to Early Church Fathers to systematic theologies by Strong, Hodge and others. You will have to jump over to the site to see the massive listing. The packages range in size and price accordingly from starter to portfolio. If you already own some books in Logos, they now offer dynamic pricing for these packages so you do not have to pay for books you already own. Use coupon code WITNESSESUNTOME6 at checkout for 15% off a Logos base package. US Supreme court says the HHS contraceptive mandate substantially burdens the exercise of religion and that the Religious Freedom Restoration Act applies to companies such as Hobby Lobby. Download the court decision. 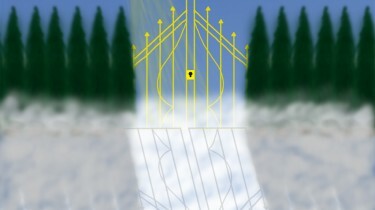 Image copyright DangApricot, used under creative commons license.